Curved House Kids and author Lucy Hawking today launch the second Principia Space Diary programme, exactly one year after British ESA Astronaut Tim Peake blasted off on his Principia space mission. The Space Diary is a pioneering primary science scheme first created in 2015-16 as one of the UK Space Agency-funded education outreach projects supporting Tim Peake’s mission. It was an instant hit, attracting an estimated 60,000 children in 1500 schools – three times the number it originally hoped to recruit. With Tim now back safely on earth the Space Diary programme has been revised and updated to incorporate the incredible range of resources he generated while aboard the International Space Station. 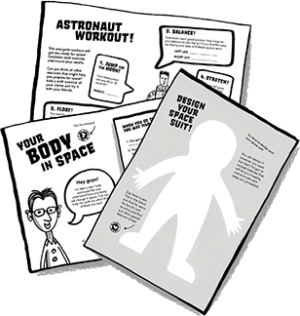 The Space Diary programme aims to empower children and engage them in Science, Technology, Engineering and Maths (STEM) learning by giving them the chance to create and personalise their very own book while they follow Tim’s mission. Students read, write, measure, count, research, plan, draw, code and decode, design and create, invent, imagine and more. They will also have the chance to access videos and photos of Tim’s activities including running the London Marathon aboard the International Space Station (ISS), a range of fascinating space experiments and Tim’s epic space walk (EVA). The new programme links to the curriculum for Primary Science, Maths, English, British Values, Computing (ICT), Spritual, Moral, Social and Cultural development (SMSC), Design and Technology (DT) and includes exclusive coding activities from Code Club and Raspberry Pi, integration with the Zappar augmented reality app and a wealth of online resources. All lesson plans are differentiated for P1-5 (KS1 and KS2) for teachers in England, Wales, Scotland and Northern Ireland and extension activities provide extra challenges for those who need them. Teachers and homeschool parents in the UK can pre-register from today in order to access the entire online programme for free when the materials are released on 30th January, 2017. Access includes downloadable versions of the entire Space Diary book and curriculum-linked activities, differentiated teaching notes, lesson plans, extension activities and exclusive videos with experts including British astronaut Helen Sharman, Professor Stephen Hawking, TV presenter Dallas Campbell and astronomer Dr Sheila Kanani. The Space Diary programme is created by publisher Kristen Harrison at Curved House Kids and children’s author Lucy Hawking, and includes expert input from computer scientist Professor Peter McOwan, the Vice-Principal for Public Engagement and Student Enterprise at Queen Mary University of London (QMUL). It is funded by the UK Space Agency with additional support from the European Space Agency and Curved House Kids. Follow the conversation using #spacediary on Twitter and find out more about the Space Diary (https://principiaspacediary.org/). Lucy Hawking is a British author who works with scientists to write adventure stories about their research for primary school age audiences. Lucy’s books, the George series, combine story telling with science and give young readers an exciting and entertaining introduction to the world of science and maths. An Oxford graduate, Lucy started her writing career in journalism and worked for British newspapers, radio and magazines before becoming a published author. The George series of books is published in over 40 languages and is now in production as an animated television series with DHX Media. Lucy has been recognised for her work in science and education with several awards – she won the Sappio Prize for Popularizing Science in Rome 2008 and the UNSW medal 2015 for Science Communication and was awarded a doctorate in science by Queen Mary University London in July 2015. Lucy has travelled the world giving talks about science to young audiences. She has frequently featured on television and radio, both as a subject and as an interviewer. Lucy is a trustee of the Autism Research Foundation, supporting scientific research into the condition of autism. Kristen Harrison is a former Penguin editor who founded the children’s education publishers Curved House Kids in 2011. She has a Masters in Communications and her primary interest is visual learning methods to make literacy learning accessible for all children. She sits on the board of the International Visual Literacy Association and is the editor of Visual Literacy Today, an online journal of research and articles relating to visual literacy in education. Her goal is to improve literacy levels among digital-native children by creating books that reflect the world these children are entering: a world that is visual, interactive and full of tools that empowers individuals to create. Peter McOwan is a Professor of Computer Science at Queen Mary University of London and Vice Principal (VP) for Public Engagement. His research interests are in human perception, artificial intelligence and robotics. He is a space enthusiast and amateur magician and has successfully used these talents in a number of outreach projects from our-space.org charting computer games developer Richard Garriott’s adventures in space, to The Manual of Mathematical Magic, where he teaches fundamental mathematical and computing principles through simple magic tricks. He is also the co-founder of the innovative cs4fn project (cs4fn.org) and holds an HEA National Teaching Fellowship award. Peter was also awarded the IET Mountbatten Medal in 2011 for his work in public engagement. In his role as VP he also oversees and champions all the university’s outreach activities created by QMUL’s Centre for Public Engagement (http://www.qmul.ac.uk/publicengagement/) . Astronaut Tim Peake spent 6 months on the International Space Station from 15 December 2015 to 18 June 2016. He became the first British ESA astronaut to visit the Station. 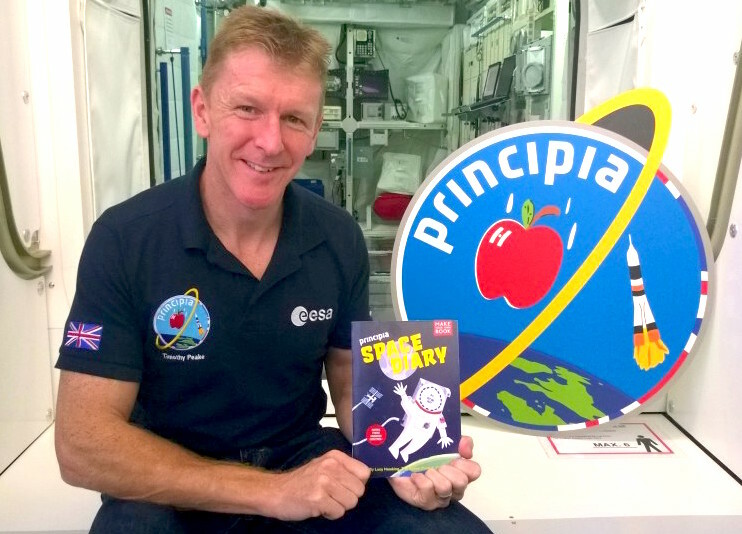 His mission was called ‘Principia’ and together with the UK Space Agency and ESA (the European Space Agency) Tim supported a number of educational outreach activities associated with the mission, designed to get children and young people engaged in STEM learning. Tim was involved in many experiments aboard the ISS during this time. Research in space crosses many different subjects – the unique environment of the ISS offers a great opportunity to investigate novel materials, life in space, the human body, fluid physics, new technologies and many other things. Through the Principia educational activities, students had the opportunity to engage in a range of related activities and can continue to do so through programmes like the Principia Space Diary. The Agency is responsible for ensuring that the UK retains and grows a strategic capability in space-based systems, technologies, science and applications. It leads the UK’s civil space programme in order to win sustainable economic growth, secure new scientific knowledge and provide benefits to all citizens. Since 1975 the European Space Agency, ESA, has been pooling the resources of its 22 Member States and leading cooperation with other nations to build a European space capability, undertaking programmes and activities far beyond the scope of any single European country. The Space Diary is back!